Whether it’s calming your new parent fears, learning new ways to keep your kids active or choosing the right provider for your child’s primary care, Children’s Healthcare of Atlanta has you covered with parenting resources, information and services that can help you keep your child well. Our teen health professionals provide a supportive environment that respects teens’ privacy and encourages good health and lifestyle habits. Going back to school can be a hectic time for families. Our tips will help your child prepare and create healthy habits for the new school year. We provide care using a multidisciplinary treatment team approach that includes pediatrics, psychiatry, nutrition, nursing, child life, social work and case management. New parents have a lot of questions, and our child health experts offer a wide range of resources and information to keep new parents informed. Health resources for kids of all ages from the experts at Children’s Healthcare of Atlanta. 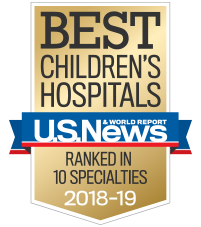 As one of the top hospitals for children and teens, our primary care offices are the best place for regular care for children.